Description: This species has been very scarce in eastern Kansas for some time. 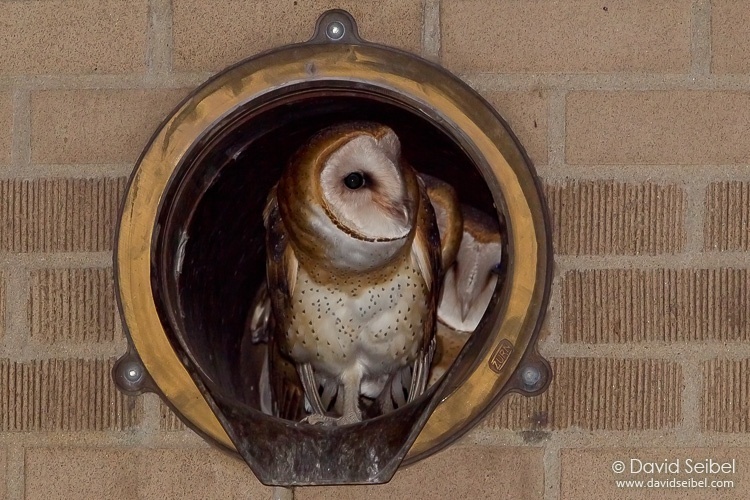 This nest site, in a large air duct, has been in use since at least 2014. The bird at the entrance appears to be an adult female, and the birds behind (2 visible here; at least 3 were seen) are likely grown young from last year. Additional details on eBird.